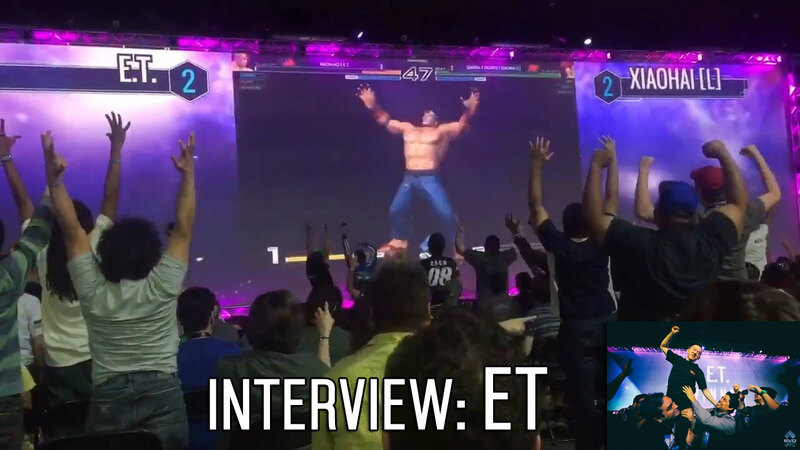 ET, with the awesome help of Charles Lui, has given us this chance for an interview, which will one day be added to a special collection for the public to see, but more on that later ^^ In this interview, ET talks about his recent win at EVO2017, what happened after and before, how he feels about KOF13 and 14, travelling, tiers, staying motivated and even his waifu! 14 questions from me and XIV questions from the public. It’s a KOF thang. 1)What did you do after getting off the stage at EVO? Nothing special, people gather and took photo with me. Afterward, there are some paper works that I need to fill out in order for me to receive my prize money. 2)What was your favorite food at Vegas? Nothing really, since most of the time I was just following my friends and I never ask for anything specific. Pretty much I eat whatever that they eat and nothing really special caught my attention. 3)Who did you think was a good player? Please name one. Mexican is Luis Cha, Chinese is Xiao Hai, Taiwanese is ZJZ, Japanese is M’, American is Reynald, and I’m not very familiar with the European players at the moment so I can’t really pick one. 4)Which do you enjoy more, Kof 13 or 14? I like 13 better, because there are more depths in turns of what you are able to do with it. 5)What would you like to change about 14’s system, if anything? I think the MAX mode activation is a bit too easy, I hope they can modify the system using 13’s activation as a sample. 6)Have you looked at the frame data and hitboxes. yeah of course, I download it and I have been studying it. 7)What buff would you suggest for Clark? I like his jump C in 13 better and I hope his back forward LP can combo twice like in 13. In terms of his grab, I felt the grab’s range has been reduced and the animation of the grab is a lot easier for an opponents to spot and react to, unlike in 13. 8)What old move or system would you like to come back in newer KOF games? In 98, Clark’s quarter circle forward P is a move that can’t be blocked. Since the nature of that move is like gambling, so I hope SNK can change that move back to unblockable. As for the system, I still prefer 13’s activation system. I think is a more fair and a more balanced system compare to 14. 9)What is the best and worst thing about travelling? The best thing is to travel to new places, meeting new people, making new friends, and of course, if I can win the tournament that would be ever better. The worst thing is to lose a tournament because of joystick break down or under perform. 10)Now that you won Evo, what else do you want to win? Where else would you like to travel? There is an Asian Olympic game qualifier which have KOF as one of the competing tile, so I’ll go to that one. At the same time I’ll be preparing for EVO Japan and if SNK is going to host anything I’ll be there as well. 11)We don’t hear much about you playing SF5. Some players can play both KOF and SF and win tournaments, do you think it’s a bad idea to focus on two games or more? Originally, I was going to focus mainly on SF5 if 14 wasn’t release. Currently, I still haven’t fully adapted to its game play. For example, I was’t very patient and I always try to jump in. I don’t think Focus on multiple games is a bad thing since I play SF4 back in the day as well. 12)Why do you prefer KOF14 over SFV? For SFV I just like to play around with it when I can and I don’t see myself getting to a high level soon. Therefore, is not really a preference thing is just that play one more than the other one. 13)Flying across the world is expensive! What would you expect from a sponsor? 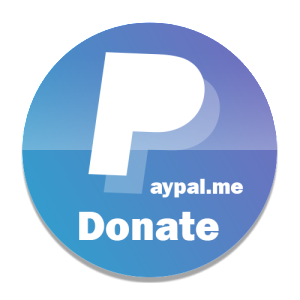 I hope my sponsors can provide me with flight expense plus hotel, currently that is the most important thing for me. Of course, if there is a monthly salary then that will be even better but is not as important as flight and hotel. 14) What happened to you at the airport? There was a photo with your head in your hands. Did you miss your flight? For the missed flight, I misread AM to PM so I missed my flight by more than 10 hours. Luckily, Charles was able to get me on another flight with just 30 dollar extra fees! Of course, since I have never been there. Hopefully I can go there in the near future. 2) what do you think about Zarina? I think Zarina is good character, fast CD and fast forward B. However, she has some fatal weaknesses such as the forward B is not an over head, which limited her mix up options and she got good no good anti air. 3)What do you think about the future of KOF XIV competitive and casual way? As long as there are tournaments and events, I think KOF XIV is going to continue hold a presence in FGC. Maybe another update with new characters will help. 4)Do you like to travel to different countries and eat different foods? Yes, of course. I enjoy those two things a lot. 5)Top tier list who is S tier, A tier etc.? If I have to pick one for each tier it will be, S tier iori, A tier yuri, B tier Bandeiras, C tier Vanessa . 6)Will you play Dragon Ball Fighter Z? Of course, I will give it try. 7)Would you ever consider visiting Chile or south America? 8)Who’s your favorite new character? 9)Who’s your favorite new character from Game of Thrones? Sorry I haven’t been following it. 10)How do you work through others discouraging from playing competitively? I’ll just focus on winning tournaments and other things that I can do better as a competitive gamer, and hopefully it will show those people that playing competitively has its value . 11)How do you stay motivated to play competitively? I tell myself that I want to be the strongest one. 12)who should you like getting all the buffs if there’s a new patch? There are a lot(laughing), and it covers anywhere from no upper cut to health adjustment. 14)How is KOF XIV doing in your region? Popular or not? XIV is actually pretty good in Taiwan. We have quite a lot of players that are willing to come out and play offline, and the online players are very noticeable as well. Therefore, over all I would say XIV is doing pretty good here in Taiwan. Catch up with the Grand Finals once again right here! Thanks to Fabian Torres, Coco, KCOPedro, Paulo, Vicio, Edgar, Saitama, cocobro, DynaBuster, Frederick Ling & critical for the reader questions. Orochinagi occasionally posts stuff on the site but is most active on twitter- Follow us. Also, we have a few apps too. Oh and grab a cool gamer shirt! photo source https://gnn.gamer.com.tw/2/149732.html and ET’s facebook – add him! and his Twitter is here. FOLLOW!